In Manhattan for the evening, the Ricardos and Mertzes are enjoying dinner before their theatre date to see Frank Loesser's musical, "The Most Happy Fella". When Lucy checks her purse for the tickets (sixth row center, orchestra, row F, seats 104, 105, 106, and 107), she makes the horrifying discovery that they were for the matinee. Lucy tells a distraught Ethel: "Well, at least I didn't forget them. You have to admit that." The girls try their darndest to eat slowly in hopes of being so late to the Imperial Theatre that they will miss the show. Lucy insists on chewing each mouthful of food twenty-five times and even intends to peel every lima bean. 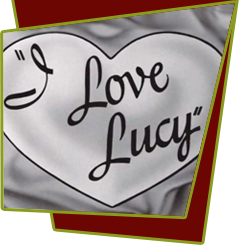 When Lucy's mistake is exposed, Ricky tries to buy four new tickets, but is able to obtain only two box seats. To be fair, the women will get to see the first act, and the men will see the second act. At intermission, Lucy and Ethel inform their husbands that the two seats behind them were unoccupied during the first act; therefore, all four of them can enjoy the remaining half. As luck would have it, the two ticket-holders arrive, and the girls must relinquish the seats to them, before squeezing in next to their husbands. This causes so much confusion that Ethel's purse containing five hundred dollars in cash (apartment house rent receipts) flies off the balcony and lands in the orchestra section. By the time the disruption is unraveled, the musical has ended. Special Notes: The Arnazes were investors in Frank Loesser's 1956 musical, "The Most Happy Fella," which had opened May 3, 1956, on Broadway. Portions of the original cast album are heard as the Ricardos and the Mertzes are watching the show.